Thank you everyone for your prayers and contribution to help Bhavna fight her brain hemorrhage. It's unfortunate that she is no longer with us, however the donation would be used to pay the bill at the hospital. Bhavna will be always missed! A kind request to make a contribution to support Bhavna and her family. 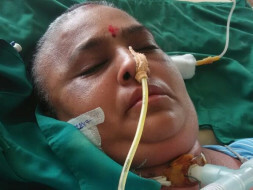 Bhavna Bhavsar (age 55) is, from Udavada, Gujarat, a mother of two children and wife of Pankaj Bhavsar, currently suffering from a chronic brain hemorrhage at the Apple hospital in Surat, Gujarat. She had a paralysis attack from high blood pressure about 3 months ago, as of September 2nd, which resulted into brain hemorrhage. She went through more than 5 surgeries to remove blood clog and meningitis, ARDS, plural infusion infection. It has started to spread through out her body while she is in coma. Her lungs are also becoming weak and infectious fluid is leaking from brain and lungs with unusually high pressure. This condition is called pulmonary edna. The cost of her surgeries have reached to RS.8,00,000 excluding daily special diet and medicine expenses. It has been challenging for family members to take care of themselves and Bhavna, while financially supporting all the medical expenses. This is a humble request to help us in this situation either by referring to someone you may know or providing financial contribution. Every form of support is appreciated including the smallest financial contribution and prayers. We thank you for your kind gesture to help us in critical situation! 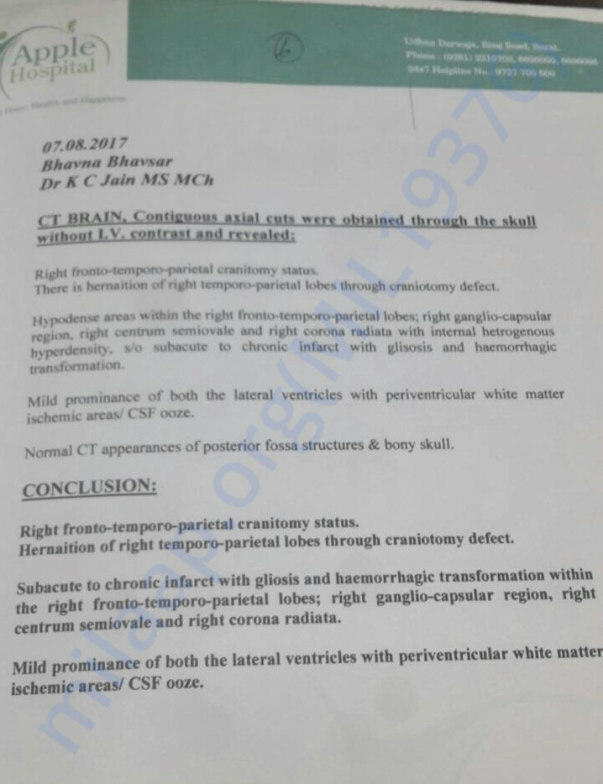 Additional document of her condition.